Model axe head with rounded end. 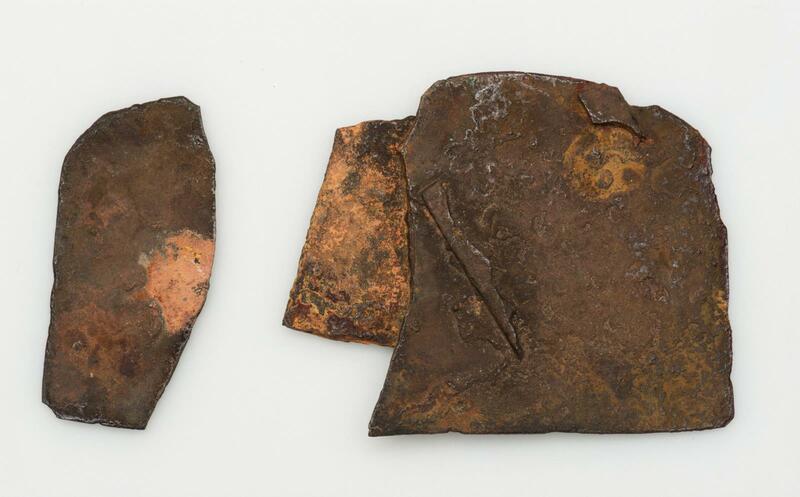 There were two other pieces of metal adhering to the axe head which are not accounted for in the Object Register. They are visible in the HU-MFA photograph. From Giza, Pit G 7143 B, chamber, at head in coffin. 1927: Excavated by the Harvard University–Museum of Fine Arts Expedition; assigned to the MFA by the government of Egypt.